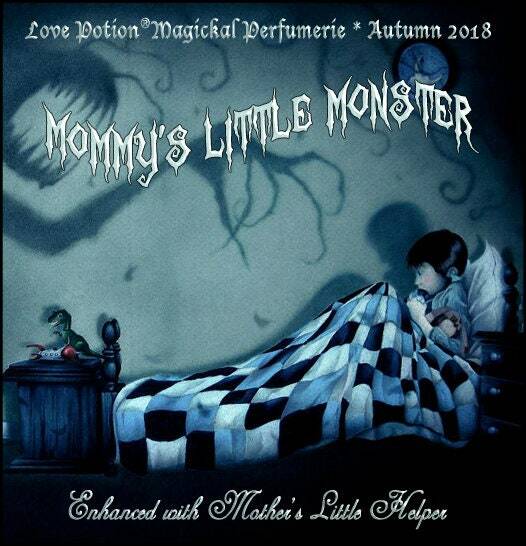 At this time of year things can get quite chaotic for all hard-working Mummies and we know they could use some assistance in taming their dear darling monsters! This is an seasonal perfume spray featuring an Autumnal blend of warm hay and tangy crisp pear - bestowing protection and good fortune - with a sturdy foundation of bamboo and teak and a pretty crown of daisy and heather. We’re riding to the rescue with a dose of our exclusive MOTHER’S LITTLE HELPER pheromone formula, a blend for women to help create a household of peace and calm, pleasant interactions, warmth, coziness, friendliness and helpfulness...while secretly exerting a little authority too. Who crooked the tail of the witch’s cat? Who stepped on Mr. Hyde’s hat? who stole the head of Pumpkin Jack? 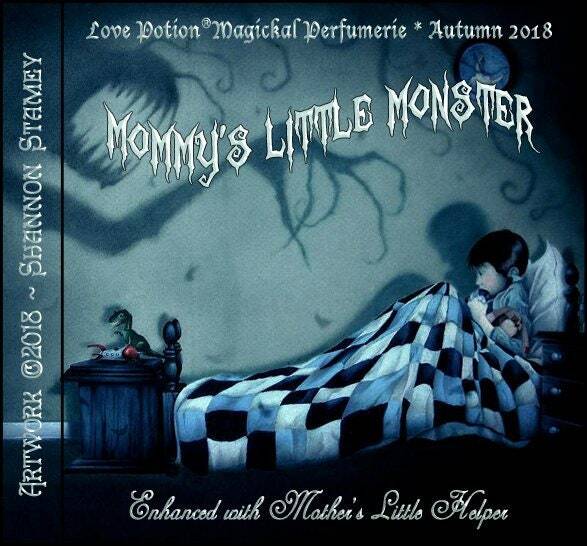 It was Mommy’s Little Monster! for her darling little beguiler. the culprit is Mommy’s Little Monster! Scent ~ Cool weather fruity floral. PEAR ~ Love, lust, passion, longevity and luck. DAISY ~ Gentleness, innocence, loyalty and romance. Love, reunion, luck. HEATHER ~ Admiration and beauty; protection, especially over women and virtue. Peace, beginnings, elemental magic, wishes granted.